Whilst its mate (SD6301 : Black-headed Gulls at Bickershaw Lake) flew off, this Black-headed Gull was inquisitive enough to allow me to approach more closely. 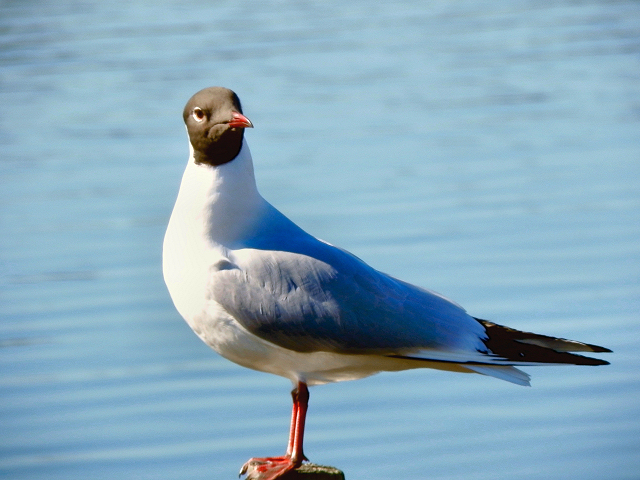 Definitely not a 'seagull', the Black-headed Gull (whose head is actually more of a chocolate-brown colour than black) is the commonest inland gull, particularly in Northern England, Scotland and Wales (Link - RSPB). As is the case with many gulls, it had previously been placed in the genus Larus.